When I was in college, and would return home for vacations, my mother would ensure that the first meal I had was Rajma Chawal (Rajma and Rice). 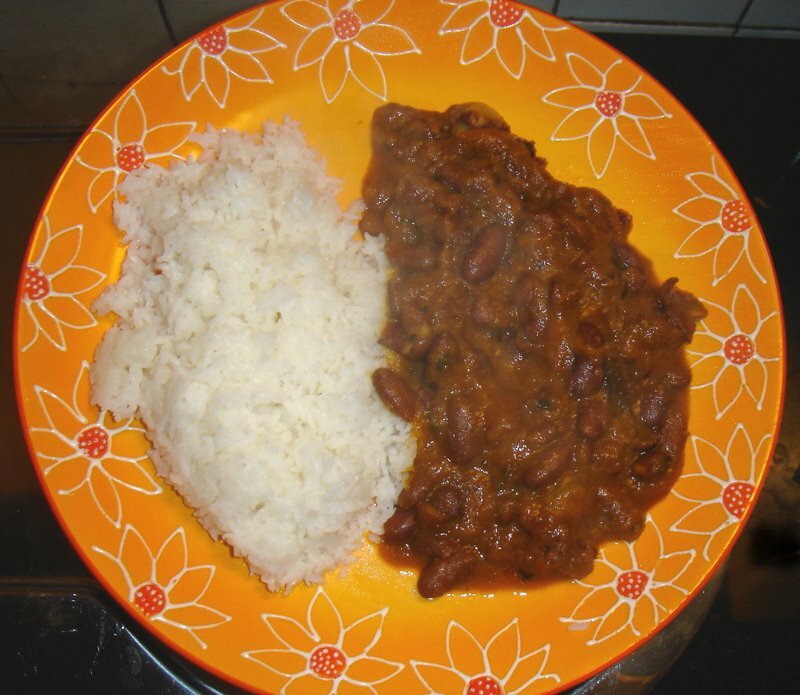 I'm not going to write the recipe of rajma, I googled it and you have more than a thousand Rajma recipes out there. All cover the basics and are pretty easy to follow. I'm just missing home and mom's food a little bit today. This is my comfort food, what are yours? Hot milk straight out of a breast. Wow, cant beat the last comment :-)but anyway, my comfort food is Tapioca & rib curry. I'm mallu & this just reminds me of home.